Sale-a-Bration has started - it's the time of the year that you can earn FREE products from Stampin' Up!. For every $60 you spend, you can choose a free product from the Sale-a-Bration brochure. In addition, if you host a party with your friends with over $400 in sales, you can earn $40 more of free product of your choice. 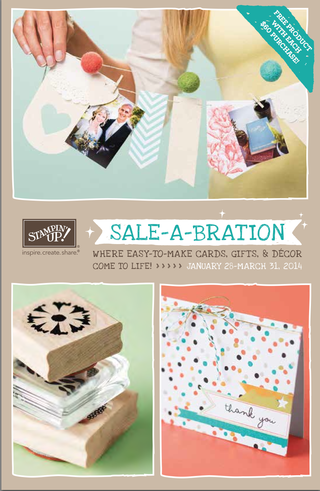 If you haven't received your Sale-a-Bration brochure yet, check it out here or email me and I'll send you one. A couple of samples made from Sale-a-Bration products to tempt you! 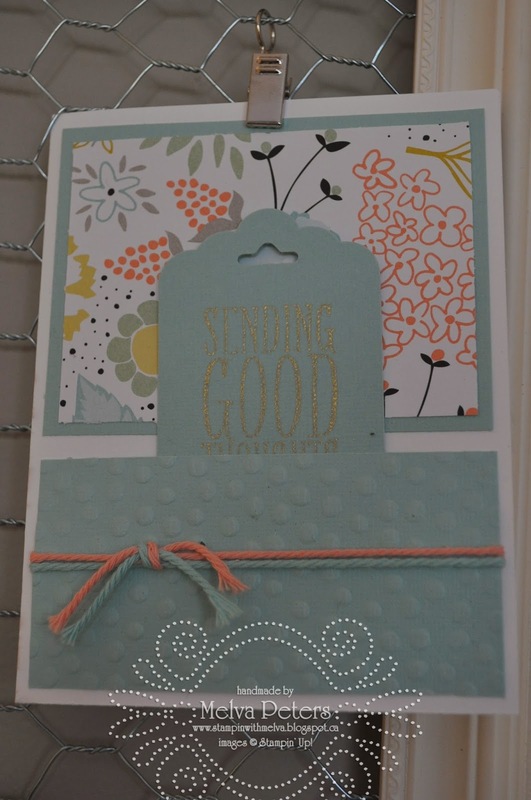 This card was made by my friend Diane Evans - she's used the Sweet Sorbet Designer Series paper and Accessories Kit and the Decorative Dots Embossing folder as well as some new product from the Occasions Catalogue - Scalloped Tag Punch. I love how she made a pocket for the tag. Check out Sale-a-Bration today! So many ways to earn free product, so little time!